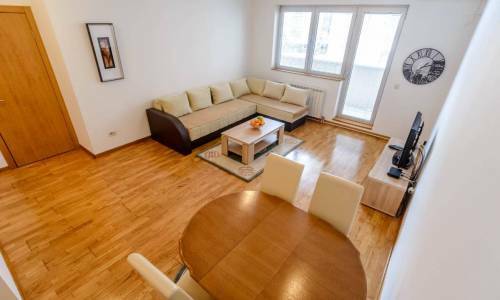 Milu is a three-room apartment in the city centre, with a garage inside the building, intended for 6 persons and with an incredible price of 60 eur. 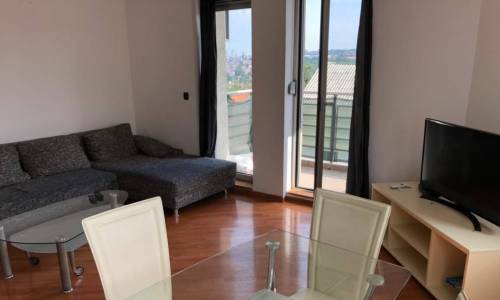 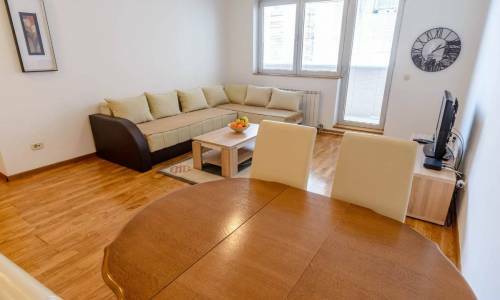 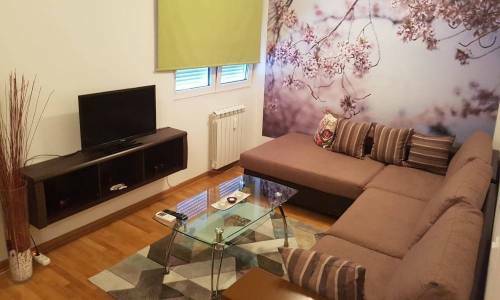 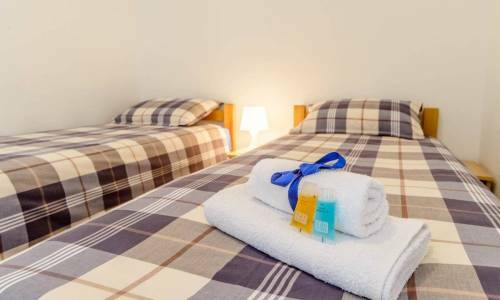 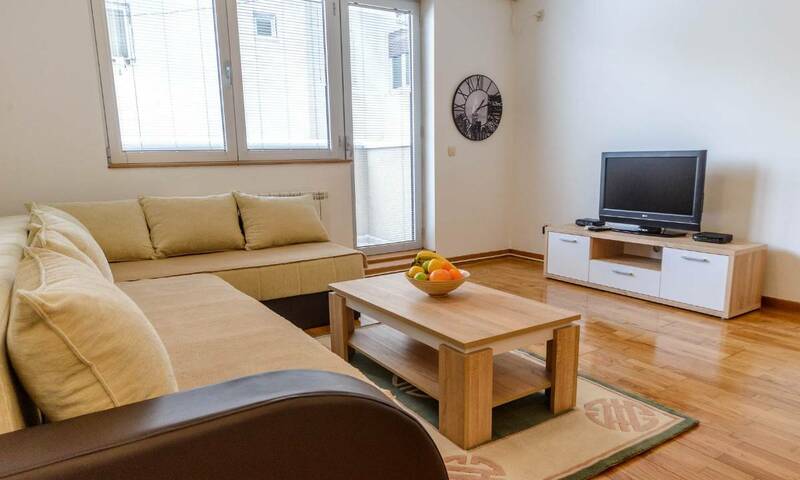 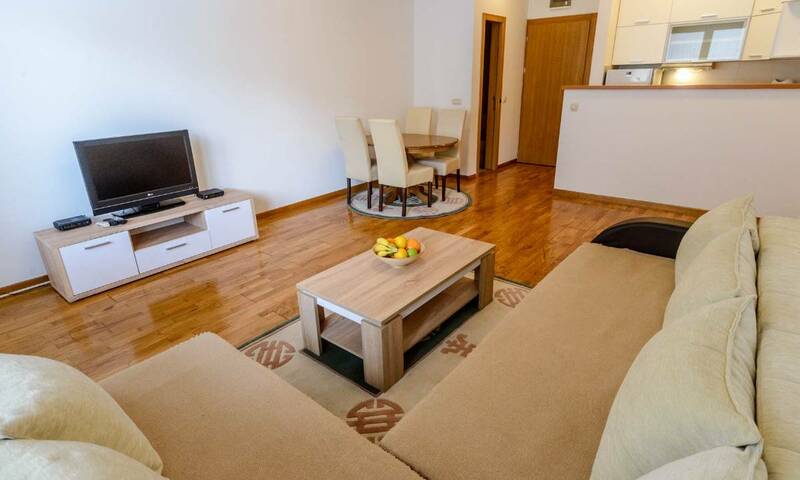 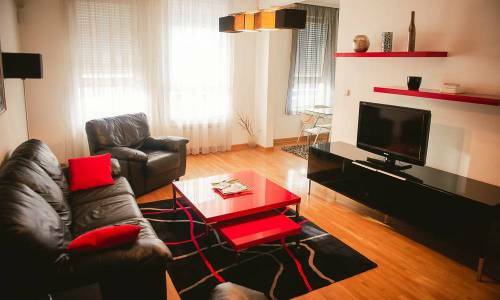 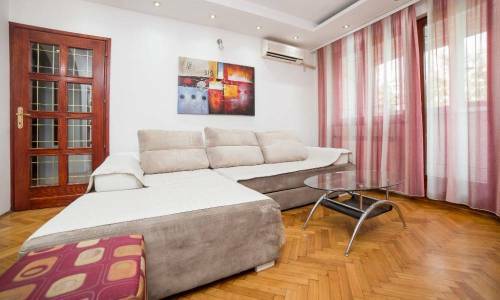 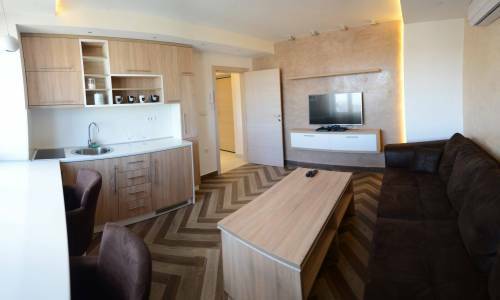 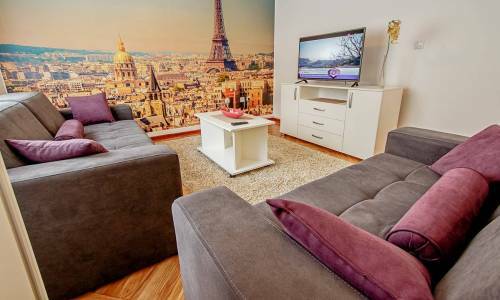 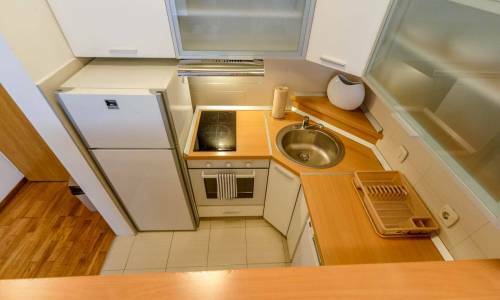 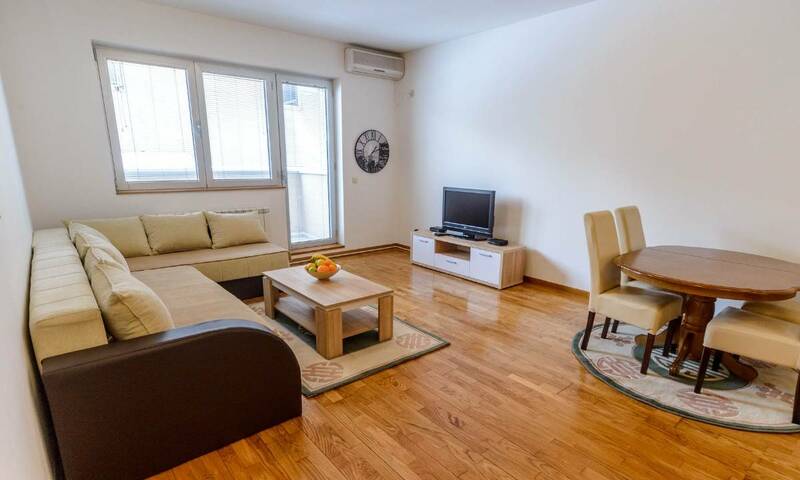 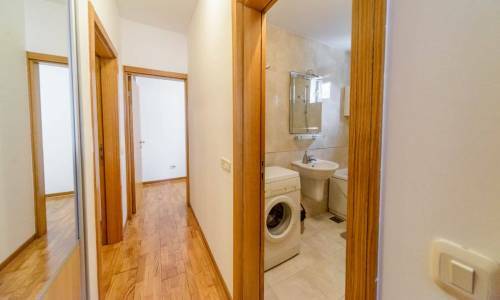 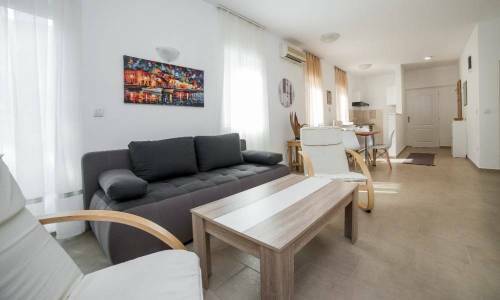 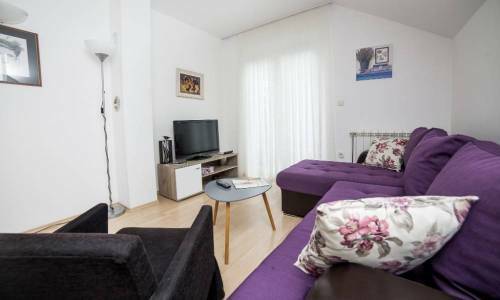 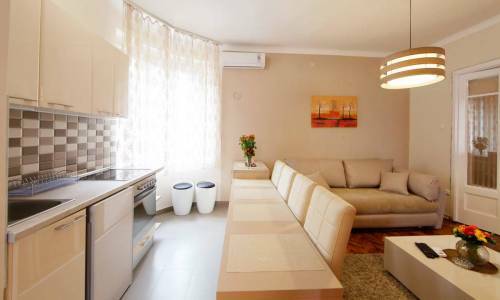 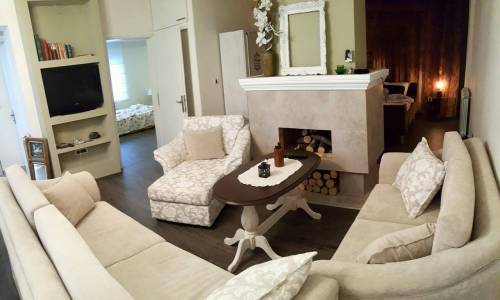 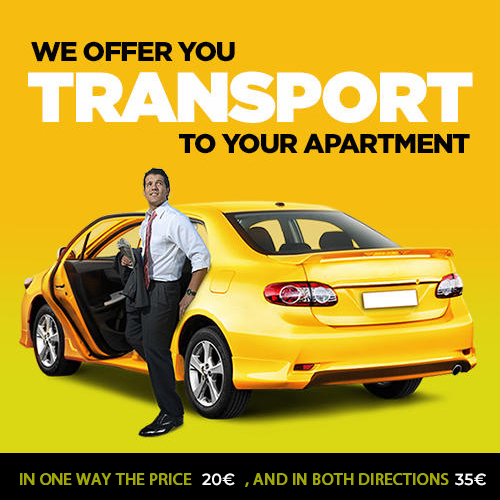 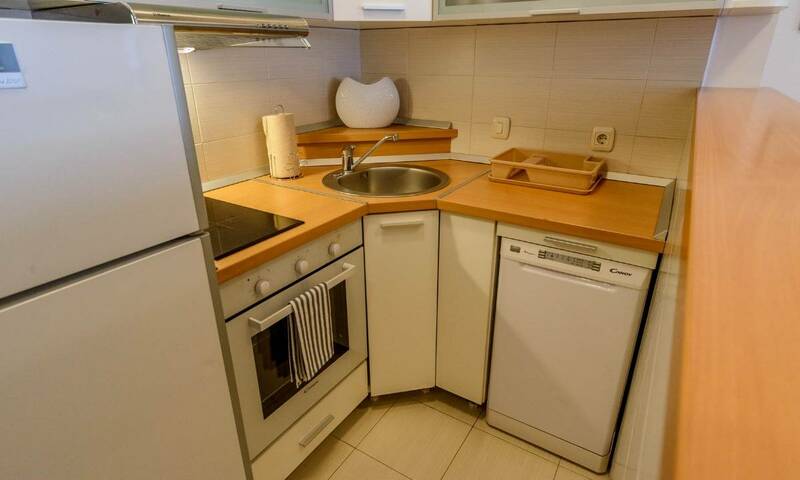 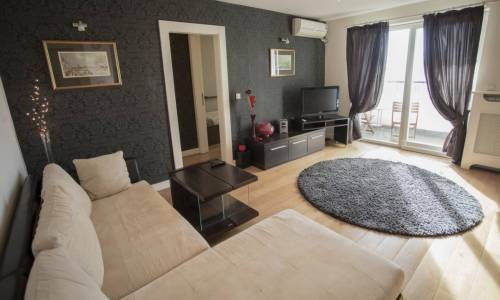 This great apartment is located at the corner of 27. marta and Takovska streets. 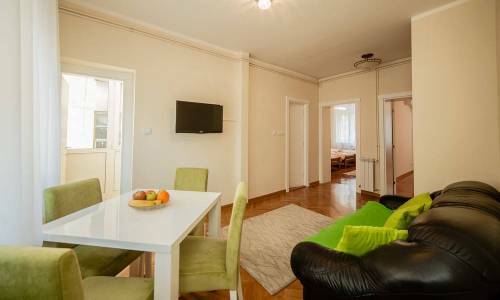 Only within a few hundred meters, you can find the Tasmajdan park and the Parliament building is 7 minutes of walking away, the Botanical garden is twice as nearer, and Terazije street is only 10 minutes away. 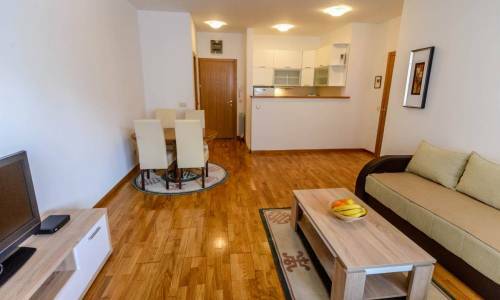 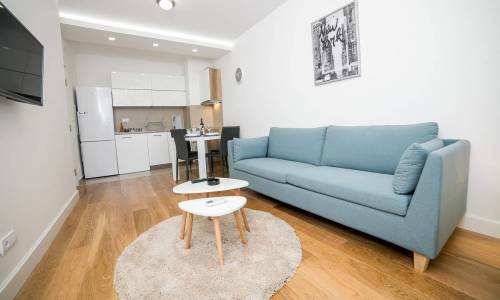 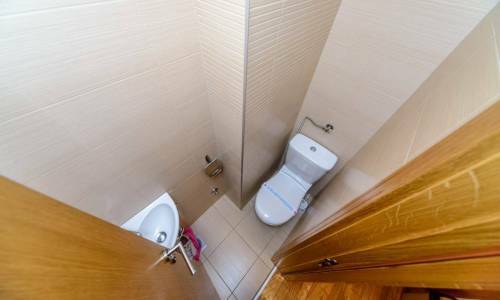 Apartment Milu consists of two areas - the first one being the open-plan living room, including the kitchen and small bathroom, and the other one includes two bedrooms, bathroom and hallway. In the living room, the L-shaped sofa can be folded out into a double bed, so the overall capacity of the apartment is 6 persons, with the sleeping arrangement of 2+2+1+1. Plenty of wardrobes and lack of unnecessary furniture is the biggest advantage of this apartment. 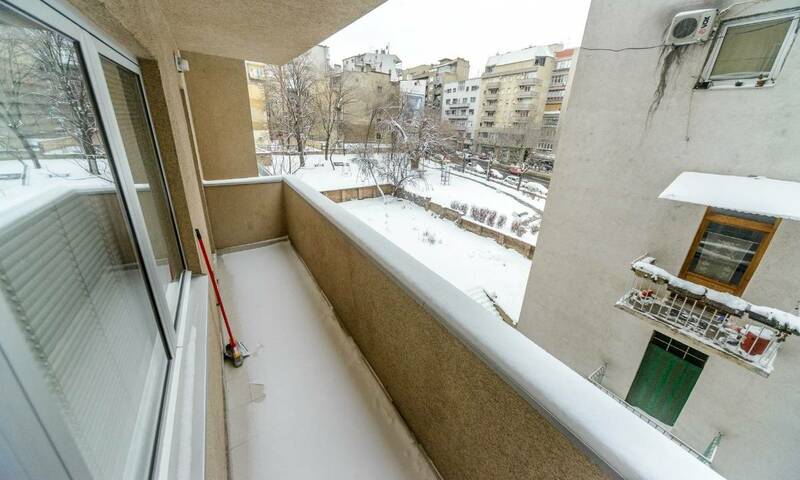 The terrace is oriented towards the backyard, and is very useful, particularly during summer time. The building is relatively new and with the elevator and the apartment is located on the second floor. Based on all of these, we could say Milu has no flaws, and you can even use the garage for 5 eur/day. 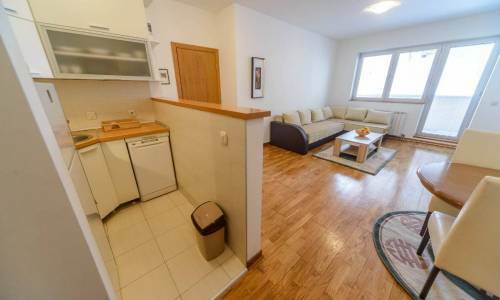 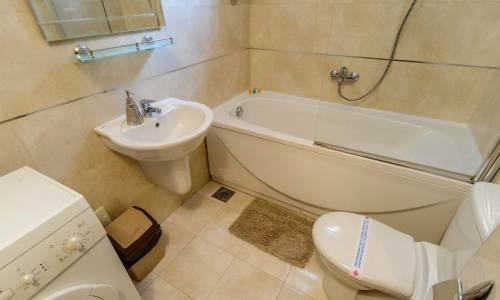 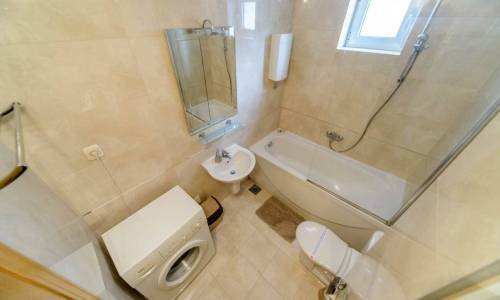 To conclude, this is definitely a very affordable apartment which deserves our genuine recommendation.